As a kid, I used to love fishing and just getting away from the concrete / steel. Life changes for everyone. Now, I prefer the concrete version of the outdoors. Attending this festival reminded me of that life. Stopping at a tent that promoted Shad fishing, there was a moment where I seriously considered taking up fishing again. 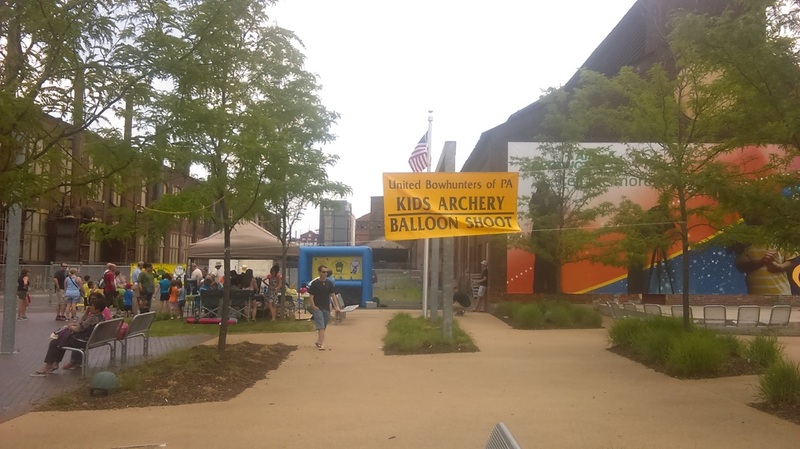 Outside had several events for the kids including archery and precision casting. Vendors included Cabela's outdoors store and the Lehigh Valley Zoo who had a few surprises. Outside, by the SteelStacks, there were live animals with representatives from the zoo answering questions. Inside ArtsQuest? Demonstrations and more interactive activities including having your photo taken while Kayaking. This was not a small festival like I believed. Walking around, there was always something new and, at times, unexpected. Between the amount of vendors / interactivity and festival size, I highly recommend this one for the entire family! Even if you are really not into the outdoors, you and the kids will have fun. Possibly discover something new to do with the family.